Sitting down to have our tea about thirty minutes later, my initial perplexity was replaced with new ones. I could see that we would not be too hungry after finishing breakfast, since John had served us each a tall stack of plain white bread slices on two thin plates. He had also filled large bright lime green plastic jug with boiling water, and between us he had prepared a bowl containing two plastic bags filled with powdered milk and large-granuled sugar. But where exactly, I wondered, was the tea? Worried about appearing rude or ungrateful, however, instead of asking this I simply watched as John poured boiling water into his mug, added a full spoonful of the powdered milk, and then four heaping tablespoons full of sugar. I imitated him by adding powdered milk and sugar to my mug of boiling water, though to his shock and evident dismay I constrained myself to only one spoonful of sugar. Even with that single spoonful of sugar I still felt like I was drinking a warm milkshake for breakfast. But hey, I love dessert at any time of day, and the sweetness of the tea helped balance the blandness (for me) of the tall stacks of unadorned plain white bread that John and I consumed together. By the end of our tea I was definitely quite full. As I would learn in the following months and years living in southern Zambia for my dissertation fieldwork research, tea or tii as it is written in Citonga is more usually refers to a certain kind of meal than it does to the beverage per se. Specifically, it refers to a way of eating breakfast that includes consuming bread, either as rolls or as sliced white bread the way I experienced it with John, and a boiling beverage of milk and sugar that may or may not include the leaves of the tea plant or any of its derivatives. Generally speaking the more urban or middle class a family was, the more likely that the tii I consumed with them was to be made with the leaves of the tea plant. In more rural contexts, however, the tii I shared with local friends or hosts almost never contained any tea leaves. People there rarely if ever consumed tii outside the context the of the morning meal, though even this was usually not an everyday occurrence as tii would be alternated with other breakfast foods such as chips (i.e. French fries), eggs, or nsima (an African polenta also known as sadza, pap, or ugali in other areas). Thus, in many ways my experiences of consuming tea with my Zambian friends and hosts was in many respects the diametric opposite of my experiences drinking tea (cha) with friends amongst the Chinese expatriate community in Zambia. Indeed, practically the only commonality between the tii consumed by my Zambian friends and the cha drunk by my Chinese friends was that both beverages contained boiling water. But whereas in rural southern Zambia this boiling water was filled with milk and sugar but frequently contained no tea leaves at all, the cha consumed in the Chinese community generally contained nothing but boiling water and tea leaves, with my Chinese friends reacting with horror to the thought of adding even the smallest amount of milk or sugar to their cha. Instead, the cha they drank highlighted and foregrounded the tea leaves themselves: unlike the tea I usually drank in America, the cha I shared with Chinese friends in Zambia did not involve any tea bags or similar devices to keep the leaves themselves at a remove from the drinker’s mouth. Instead, whole, loose leaves were added directly to the cup, where they added a distinctly tactile sensation to the experience of drinking cha as I would have to physically filter out the leaves with my lips while sipping the tea. While some cultural and social forms tend to travel easily amongst these different communities in Zambia, in my experience culinary traditions such as the consumption of tii or cha represents one of the hardest barriers members of the Chinese expatriate and local Zambian communities tend to erect between each other. Though things like language, religion, or even traditional medicine are sometimes shared amongst these groups, I never saw an expatriate from China consuming Zambian-style tii or a Zambian sipping Chinese-style cha. Since the consumption of both tii and cha can represent explicitly social experiences of sharing with others, the usual unwillingness of people from either community to join in the tea-drinking practices of the other is striking. The Middle East/South Asia Program presents a South Asia Without Borders Initiative: the first annual South Asian Film Festival. 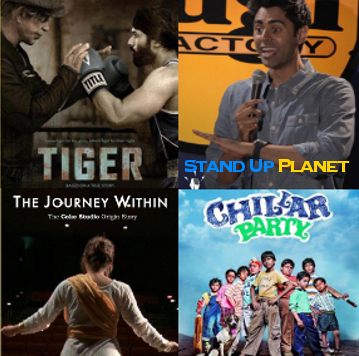 For complete details, please visit: Film Fest Focuses on South Asian Diversity or www.thirdi.org. Punjabi singer and film star Amrinder Gill will perform in concert Oct. 14 at UC Davis’ Mondavi Center, headlining a wide-ranging series of events this academic year focused on South Asia. Panaji, the capital of Goa, lies on the banks of the Mandovi River. 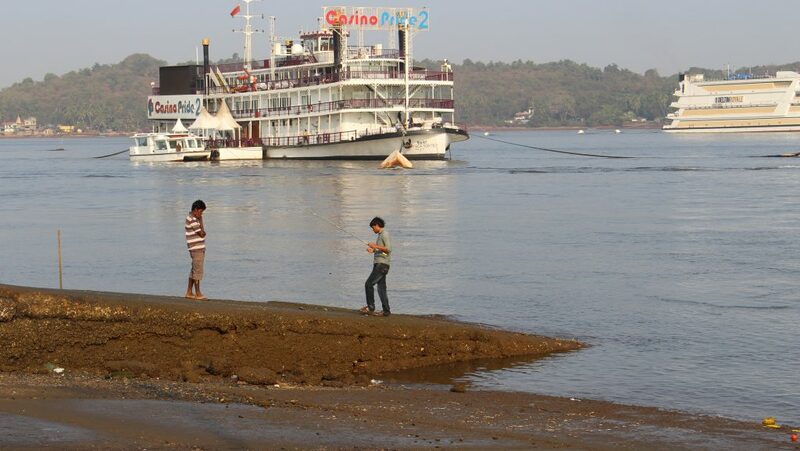 The photos below document a section of the river – stretching from the Mandovi Bridge to Miramar Beach. This area accommodates fishing boats, fishing trawlers, tourist boats, offshore water based casinos, and passenger ferries. 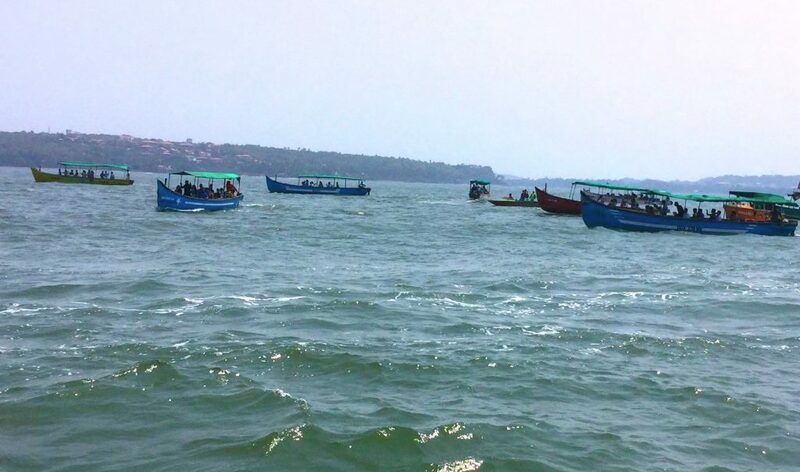 The commercial and cultural activities that take place on this stretch of the river have significant economic and environmental implications for Goa. Fishing trawlers negotiating the Mandovi River. 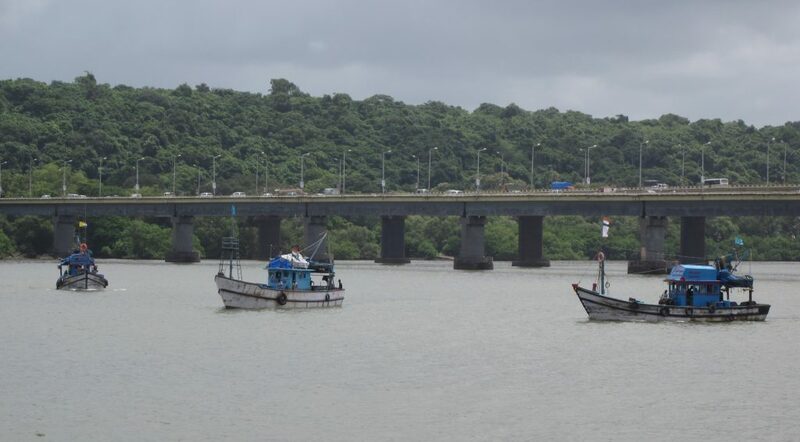 The Mandovi Bridge that connects Panaji to Porvorim (where the Goa legislative Assembly is located) is visible in the background. The bridge collapsed in the 1980s and was subsequently rebuilt. In May 2016, the fishing community in Goa held a protest to call for a ban on LED lights on fishing trawlers (there are concerns among the fishing community that the use of these lights could lead a reduction in the fish stocks). 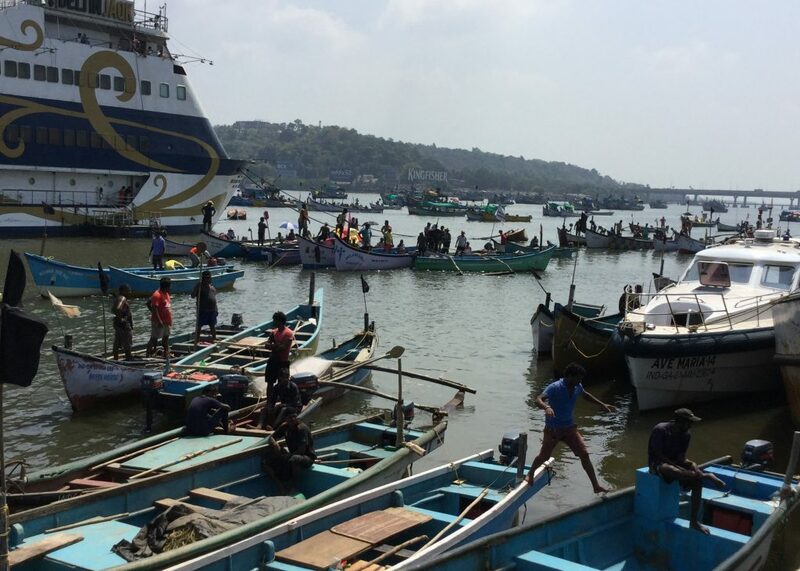 Part of the protest took place on the river with fishing boats parked between the Mandovi Bridge and the Panaji Ferry point. 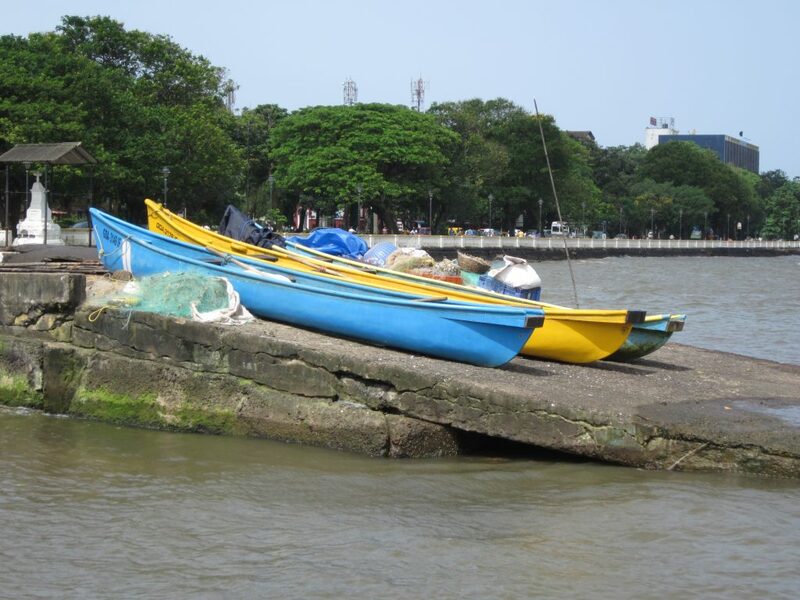 Canoe boats and nets (used by artisanal fishers on the Mandovi River) stationed at the Panaji ferry point. In the background is Dayanand Bandodkar Rd, which leads to (among other places) Miramar Beach. Fishing at the Panaji Ferry Point. Boarding the Ferry Boat at the Panaji ferry point. Traveling from Panaji to the Betim Ferry Point. 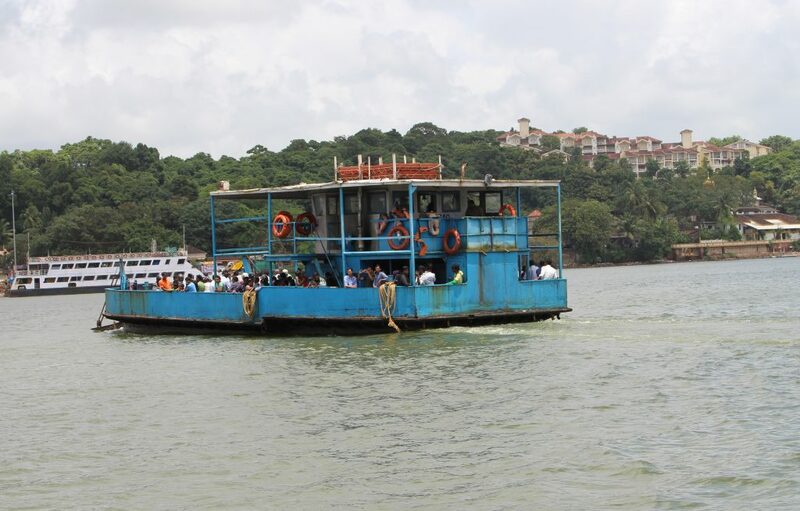 The ferries are a significant part of the public transport network of Goa. The ferries are operated and maintained by the River Navigation Department. 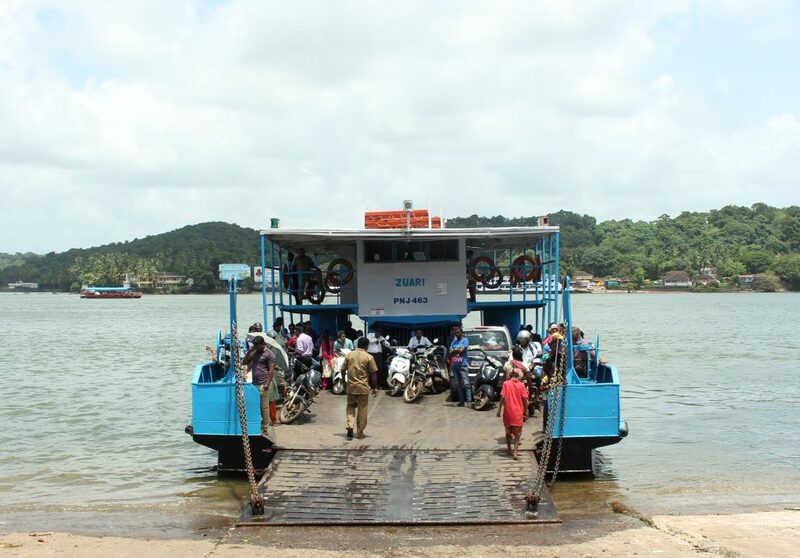 Some places in Goa, such as the Island of Divar are (as of 2016) only accessible by ferry. There are a number of different tourist activities that take place on the Mandovi River. These include various evening cruises offered by the Goa Tourism Development Corporation. Water sports and adventure boat trips have also become increasingly popular. 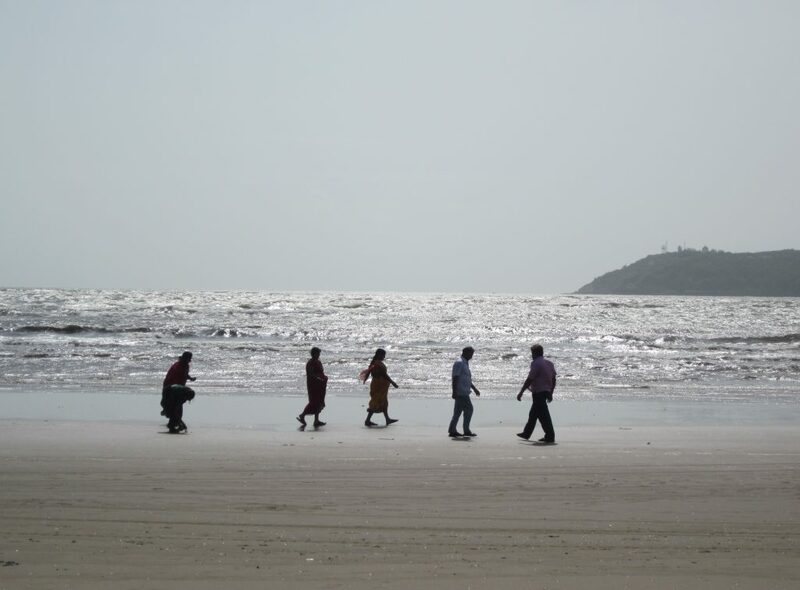 Miramar beach – a popular tourist spot – is where the Mandovi River joins the Arabian Sea. While I’m only in Jakarta just for a month on a summer research grant from the Indian Ocean Imaginaries research cluster, Indonesia is just as I remembered it: culturally diverse, bustling with action (and pollution), criss-crossed with seemingly impossible to navigate streets, and full of welcoming people who are generous with their time and resources. This month—which I’m in the middle of right now—is a way for me to solidify the connections I already have in various government agencies and institutes of learning and to make new ones as I narrow and solidify my future research plans, now coming into focus as I start my third year as a PhD student in ethnomusicology at Davis. I’m interested in the relationship between Indonesian music education (in its curricular, extracurricular, and community forms) and national identity. As a relatively new country proud of its many contributing subcultures, Indonesia has a long history of parsing out its collective cultural identity and the relationship between the region and the nation. My goal is to understand how the government, particularly the Ministry of Education and Culture, articulates that identity in the arts education portions of the 2013 national curriculum, newly implemented nationwide. To this end, I’ve been spending my time here at the Ministry (shortened to Kemendikbud, for Kementerian Pendidikan dan Kebudayaan) interviewing directors of various subdirectorates and finding out where I should go next. In the coming weeks, I’ll have meetings and interviews with the members of Kemdikbud who put together the new curriculum and are overseeing its implementation. Additionally, I’ll travel back to Yogyakarta, a small city in Central Java famous for artistic innovation and my home site during my 2013-2014 Fulbright English Teaching Assistantship, to visit several high schools with music programs, check out a teacher training center in nearby Kaliurang, and meet with the head of the ethnomusicology department at ISI, the Yogyakarta branch of the Indonesian Arts Institute (Institut Seni Indonesia). 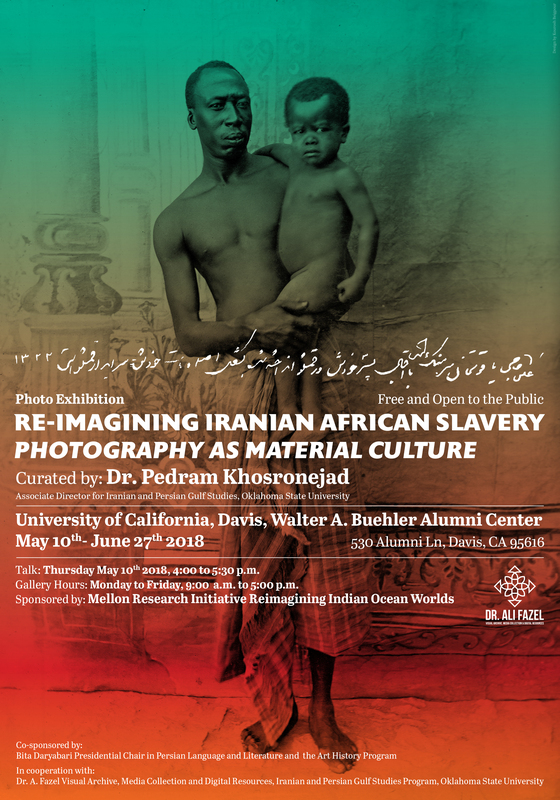 Many thanks to the Indian Ocean Imaginaries research group for funding my time here, and I’m looking forward to sharing my findings with the group back at UC Davis. My family does not drink chai. That’s not to say we don’t drink tea, we just don’t boil it with milk, water, sugar and spices. In fact, we probably drink more tea than most but how and why we do it is peculiar and particular to a constellation of factors. At a quarter to six every morning, my father boils two litres of water and pours them over two heaped teaspoons of long curled up tea leaves. He lets the brew steep for about four minutes and strains it into his thermos and a ceramic pot for my mother, which he leaves on my mother’s writing table, under a tea cozy made from reclaimed baby clothes that once belonged to me and my siblings. Laden with his thermos, he retreats into a secluded room, which we call his ‘sulking corner’, for the next three hours. They each start their days with four cups of this thin, yellow fragrant brew and drink a few more through the day; one cup around 11am; a couple more in the afternoon; and sometimes one after supper. Not only is this quantity of tea drinking is excessive, even by Indian standards, but what we drink is also an unusual tea. Specifically, we drink lightly steeped full-leaf Orange Pekoe (OP) Nilgiri Tea. The Nilgiri is a mountain range in southern India, a part of the Western Ghats, which is located at the interstice of the states of Karnataka, Kerala, and Tamil Nadu. The Nilgiri district is now entirely in the state of Tamil Nadu but was a part of the Madras Presidency of the British Raj when tea was introduced to the region in the early nineteenth century. Located eleven degrees north of the Equator and on average 2000 meters above sea level, these hills were home to thousands of flora, fauna, and tribes that have been displaced to create tea plantations. In fact, the name Nilgiri or Blue Mountain refers to an indigenous shrub, Neelakurinji (Strobilanthes kunthiana) whose purplish-blue flowers only bloom once every twelve years but once covered these mountains like a carpet. The fifteen recognised indigenous groups in the region have received much attention from anthropologists because their relative isolation has resulted in some unique phenotypic qualities and cultural practices in comparison to the larger populations of South India. While tea in the northern region of Assam was already being exported to the West, in southern elevated regions like the Nigiri and Ceylon, tea was only introduced by the mid-nineteenth century after a few experiments of different varieties to see what could work. The hills in the Western Ghats have abundant natural rainfall and reach elevations typically higher than the tea growing regions of the north. Tea tasters praise the clarity and fragrance of the tea grown at higher elevation but it also makes for a challenging crop in practice. All the accompanying technologies of tea production need to be built and run locally, and everything costs more at higher elevation. 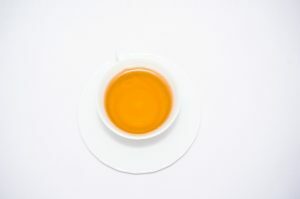 Much like the concepts of terroir that control the appellation of certain wines and cheeses, the resulting flavour of tea is recognised to be more than just the sum of the plant and its human technologies of production. The environmental factors such as soil composition, irrigation pathways, and climate certainly influence the plant but are not considered the only influence. The human choices and technologies have a significant, albeit elsewhere replicable effect. 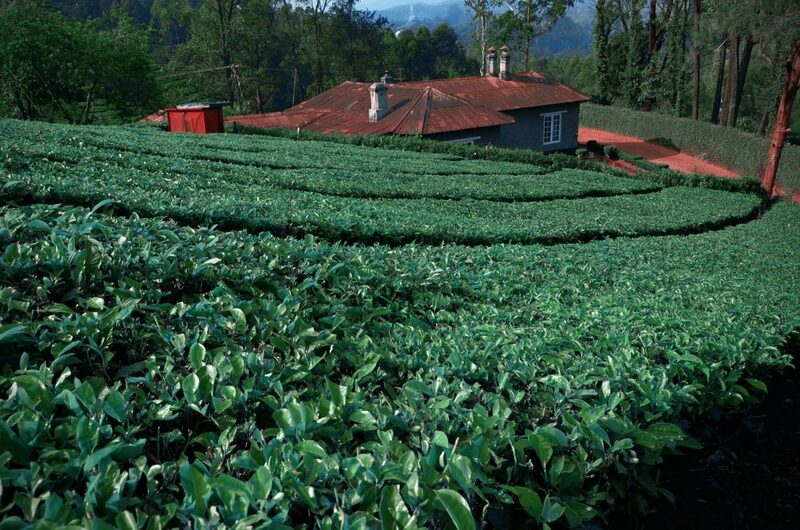 After harvest, Nilgiri tea is separated into different groups based on the quality of the leaf. 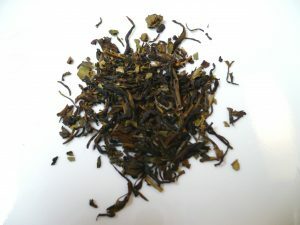 The smallest leaves that are closest to the bud are processed by sun-drying and handled with care to produce the Orange Pekoe (OP) grade tea that yields a light yellow steep, no hints of bitterness, and a clean finish. The broken leaves are also considered high quality, yield a slightly darker brew and are sold as Broken Orange Pekoe (BOP). However, most of the tea produced in the Nilgiri occurs via a system known as Crush, Tear, Curl (CTC) in which the leaves are passed through industrial rollers into small, hard pellets, which are sold loose or packed into tea bags. This is the tea that makes chai for it needs to be boiled with water in order to break open the pellet structure. An OP will never brew into a strong, thick, black tea and thus will never respond well to inclusion of milk. While Nilgiri tea amounts to less than 10% of the national production, unlike the other premium varieties, most of it stays in India as CTC tea for local consumption. At my parent’s place in rural Kerala, we always have both CTC and OP tea. Like most eccentric behaviours learned from the home, I didn’t notice that we barely ever drink tea with milk until I started making tea when guests came to visit. Step 1: Boil water in kettle. Step 2: Pour some hot water into the tea pot, let it sit for 30 seconds and then pour the water out of the spout — I’m told this is an oft forgotten by crucial step. Step 3: Measure the tea leaves ( ½ teaspoon per cup) and throw into pre-heated pot, pour in boiled water, close pot , go for a short walk. Step 4: Remember that you had tea steeping and hurry back to strain out the tea into cups that have been pre-heating à la Step 2. The facility of making milk-less tea doesn’t account for why we don’t drink chai in my family. In fact, chai seems like the more reasonable option considering that we rear milk-producing cows. I think it was a combination of my parents yoga practice and my mother’s lactose intolerance that led to this particular method and choice of tea to take root. I also think there is a deep historical reason why we drink tea specifically from the Nilgiri region. Why is my family inextricably linked to the area? Is it the proximity, our colonial legacy, or does the connection go further? To understand this better it is helpful to reflect on the other institutions that come from the Nilgiri hills. It was not the unique flora, curious tribes, or the possibility of growing tea that first attracted the British to the Nilgiri, but the elevation and its promise of cool temperatures throughout the year. For representatives of the Madras Presidency, the Nilgiri represented the possibility of staying local while escaping the stultifying heat of the plains. By 1827, Ootacamund, or Ooty as it is colloquially called, the biggest town in the Nilgiri, became the official sanatorium and the summer capital of the Presidency. The completion of the railway line in 1899 meant that now government representatives could escape to the hills in just a few hours. In his book The Magic Mountains, Dane Kennedy writes that the “Anglican spires, quaint Tudor-style cottages, and Victorian flower gardens lovingly evoked a distant homeland, giving hill stations a distinct British identity in the midst of a foreign environment.” While tea was introduced in the region because of its semblance to northern tea producing regions of Darjeeling and Assam, the resemblance of the misty green hills to their faraway homes in the British Isles prompted the building of schools here to educate the children and orphans of British soldiers, traders, and government officials. 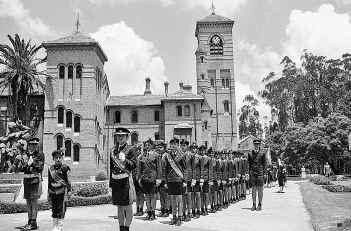 One such set of schools were the Lawrence Military Asylums started in four hill stations across colonial India; Sanawar in present day Himachal Pradesh (1847); Mount Abu in present day Rajasthan (1856); Lovedale near Ooty in present day Tamil Nadu(1858); and Ghora Gali in present day Punjab Province of Pakistan(1860). According to the founder, a Major General Sir Henry Montgomery Lawrence, the schools were meant to provide a space for white (primarily) and Anglo-Indian (secondarily and only if space permitted) children to “obtain the benefits of a bracing climate, a healthy moral atmosphere, and a plain, useful, and above all religious education, adapted to fit them for employment suited to their position in life.” Lawrence believed that these schools would shield the young people from the “debilitating effects of the tropical climate” of the plains and predominant areas of colonial India. Sir Henry died fighting to protect the city of Lucknow during, what we call in India, the First War of Independence of 1857. 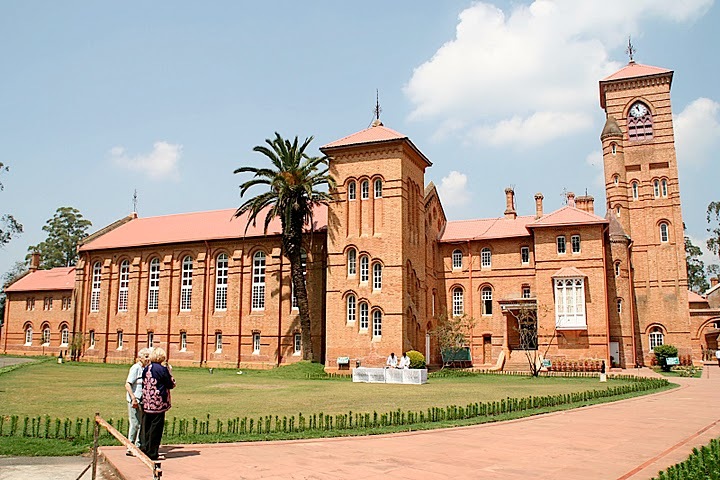 After Indian independence was won in 1947, the schools were handed over to the authorities in the newly formed government of India and the name of the one in south India changed to The Lawrence School, Lovedale. While the name has changed, many of the military traditions such as the Trooping the Colour and Beating Retreat continue notwithstanding the switch of flag from Union Jack to Tricolour. When my father joined the school in 1950, the student body was evenly mixed between Indians, British, and Anglo-Indians. Though the last of his four brothers graduated in 1969, his younger cousins, and the next generation have carried the mantle of representing our family in the school colours. My brothers graduated in the early nineties and I was the first of our family to graduate in the new millennium (’01). My eldest brother’s daughter has already been in the school for two years. Recently, my family went up to school to commemorate the 158th Founder’s Day. My father’s class celebrated their 55th reunion, my brother his 25th reunion, and my classmates were there for our 15th. Needless to say, my family has a close and consistent tie to the school and by association, the Nilgiris. 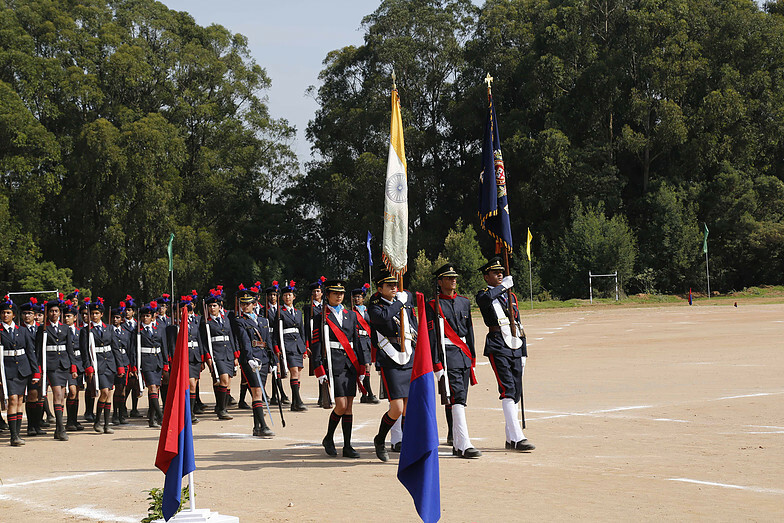 The two-day celebration of Founder’s Day draws alumni back to the school in such numbers that this year there were more of them than students. From school I remember camping trips to tea estates, some owned by classmates, to learn about the processes of tea production. Maybe this is why we drink Nilgiri tea at home. It draws us to our childhood home: the place where we made our first friends, where we broke the rules and got away with it, and where we had our first bittersweet taste of heartbreak. In our predilection for Nilgiri Tea lies a trace of the legacy of colonial history, which has had the unintended consequence of uniting my family in taste and routine. My family’s terroir is Nilgiri. We were introduced as slightly foreign transplants and the environmental influences that shaped us were steeped in the cultures and climates of those hills. Oṃ bhūr bhuvaḥ svaḥ. So goes the mahāvyāhṛti, the opening incantation recited before the Gāyatrī Mantra to pay homage to the interconnectedness of the earth (bhūr), the atmosphere (bhuvaḥ), and the heavens (svaḥ), a process reflected in the human body. Though we had been reciting this mantra for years in our yoga sessions in Santa Monica, California, and though I knew the literal translation of each of the words, I never really connected to the mahāvyāhṛti as intimately as I did one evening while drinking tea with my friend Karthik Dhandapani and Dr. Christopher Chapple at a roadside chai shop in Tamil Nadu. Yogis on pilgrimage, we had been traveling between South India’s five element temples for about a week or so for field research. The five elements of earth, water, fire, air, and space hold a special place in almost all of South Asia’s philosophical systems, serving as an ontological foundation, so to speak, for all that exists. Everything we experience, including our bodies and the world around us, is comprised of some proportion of these five elements, all of which remain in a constant state of cyclic, interactive, flux. India’s element temples pay homage to this never-ending process, and the mahāvyāhṛti succinctly encapsulates it in four short utterances. Just a few days before our tea experience, we had stopped for our other favorite hot afternoon refreshment, coconut water, at a roadside vendor who somehow managed to carry twice the weight of his motorcycle in coconuts and was happy to sell us as many as we could drink. These vendors are quite easy to spot as one drives through South India, as they are often surrounded by a pile of cracked coconut shells, nature’s disposable cups out of which customers enjoy sipping refreshing juice. As we downed two or three coconuts each, I stared at the pile of rotting husks and thought to myself, “bhūr!” (earth!). I also noticed that these husks were decomposing near the base of several coconut trees whose trunks and fronds, beckoned by the sun’s fire, projected into the sky above us. “bhuvaḥ… svaḥ!,” (atmosphere… heavens!) I thought. For a blissful moment, the earth, the sky, and the heavens all seemed to be perfectly aligned. I quietly pondered these images as we made our way onward. Later that evening we were in need of an energy boost, and what better than a psychoactive shot of chai? As the sun set behind us, I enjoyed some tea with my friends at a road side chai stand, another staple in South India, and as we were getting ready to head back to our car, I desperately searched for a trashcan to throw away my plastic chai cup. One of the gentlemen with whom we had been enjoying our tea quickly gestured for me to toss it on the road where, I noticed, hundreds of other plastic cups were confusedly spinning around in the evening wind, trying to find their proper place within our previously mentioned ontological configuration. I scratched my head and silently thought to myself, “Oṃ bhūr, bhuvaḥ… svaḥ?” And thus my love for the relationship between religion and ecology was born. Opposite the popular Nasi Campur (‘mixed rice’) stall Kampong Glam café, at the junction of Baghdad Street and Bussorah Street in the Arab quarters of Singapore, is a small and inconspicuous ‘sarabat’ (drink) stall commonly identified as ‘No Name’ due to its lack of signage. Run by a wizened white-haired Indian Muslim man and his middle-aged counterpart, the stall has become famous for its Teh Tarik, a tea drink that is typically made from mixing Ceylonese black tea with condensed milk. The characteristic feature of the tea is the frothy texture of the drink, which is generated by the continuous transference of the tea from one stainless steel mug to another with an aerating ‘pulling’ action. The process of making teh tarik starts with adding evaporated and condensed milk to boiling water. Once the brew is bubbling, it is taken off the heat and the mixture strained into a tin mug. The tea is then poured from a height of about a metre into another mug. This process of “pulling” the tea is repeated a number of times until a layer of froth forms over the drink before it is served. The tea should preferably be “pulled” longer than an arm’s length. The “pulling” process cools the tea and enhances its flavour. Teh Tarik is a drink indigenous to Malaya –– it is widely regarded as Malaysia’s unofficial national drink and is also enjoyed in Singapore. ‘Tarik’ means ‘pull’ in Bahasa Melayu, while ‘teh’ generally refers to tea with condensed milk. The drink has been popularised by Indian Muslim drink stall owners who also sell ‘teh’ made with evaporated milk, as well as a ginger tea version known as Teh Halia. Fresh milk is almost never used in the making of Teh Tarik, as sweetened forms of milk are required to mask the mildly acrid taste of the tea which tends to be of a lower quality. The drink is most commonly paired with Roti Canai (as the name of it goes in Malaysia)/ Roti Prata (as it is known in Singapore), a dough pancake made from ghee, flour, egg and water which is then panfried on a flat griddle in ghee. Teh Tarik is consumed at all times of day. Modern innovations to the tea have included the addition of ice for a cool sip, and the inclusion of much more milk and froth (now termed as the Teh Cino). Tea producer Lipton has a 3-in-1 Teh Tarik product which promises instant Teh Tarik from a satchel, while contemporary Singaporean ice-cream parlours have turned it into an ice-cream flavour. On our recent visit to the ‘No Name’ Sarabat stall, sitting at the five foot way as we drank our tea, we noticed a slim young woman run to the counter of the stall to order two cups of Teh Tarik. Running back to the large SUV parked on the opposite curb, she passed the cups to the driver and his front seat passenger. We watched as the driver and his friend savoured the tea in the cool environs of his air-conditioned car as we sweltered quietly under the stall awning drinking our own tehs. Before long, the young woman was running back to the stall with emptied glasses. The car drove off. Meanwhile, tourists thronged the area and the stall saw some older locals queuing with orders of teh. A tall young Chinese man walked past the stall with a trail of young charges in uniforms and backpacks after him. “这是印度拉茶 (This is ‘Indian pulled tea’),” he told his students in the midst of their chattering, drawing attention to the longstanding association between teh tarik and their Indian Muslim makers.